Weekend of shame highlights power and influence wielded by hooligans in local football. 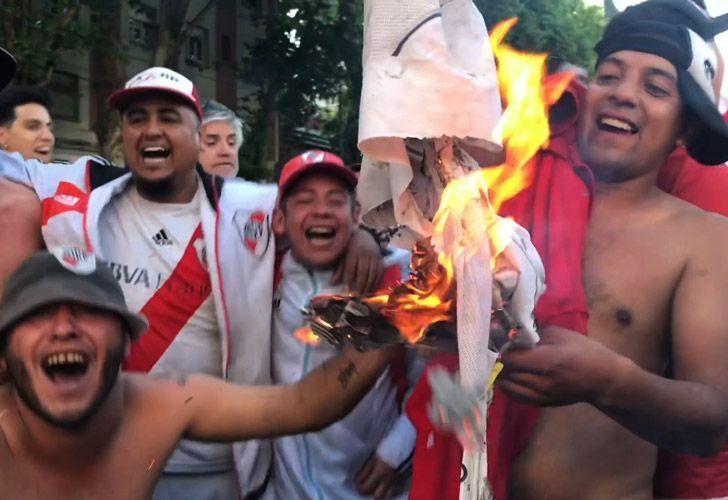 The embarrassing postponement of the Copa Libertadores final thrust Argentina’s hooligan problem back into the spotlight, as well as society’s acceptance that it is part of football fan culture, analysts say. President Mauricio Macri admitted there had been a “security failure” on Saturday when Boca Juniors’ team bus came under attack from River Plate fans hurling pepper spray, stones and sticks. Windows on the bus were shattered with players suffering cuts and breathing difficulties from the pepper spray. 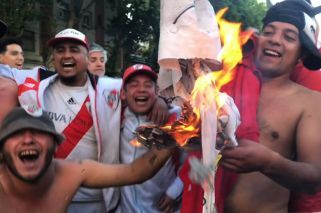 The presidents of both clubs insist the violence was caused by just “10 or 15 misfits,” but for sociologist Diego Murzi, Argentina’s hooligans – or barra brava – are deeply entrenched in the country’s football-related activities. 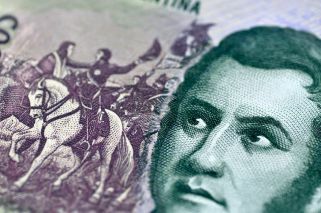 “In Argentina there is a football culture in which violence is legitimate, and not just by the ‘barras’ but by everyone who takes part,” said Murzi, a researcher at the University of San Martín. It was a weekend of shame for local football that unfolded after authorities failed to protect Boca’s players on their bus trip across town to River’s Monumental stadium. Argentina prides itself on its feverish football fans while Boca and River are lauded for what many acknowledge as the greatest derby rivalry in the world. But it has reached the point where behaviour otherwise considered unacceptable in society is even celebrated, such as xenophobic chanting, insults and threats to murder rivals. The violence is fuelled by a belief that football is not “a clean game with legitimate results,” experts say. Off the pitch, hooligans run mafia empires around Argentine football “in collusion with the police, clubs and political authorities,” according to Monica Nizzardo, the founder of the Salvemos Al Futbol (“Let’s Save Football”) charity. The NGO says 305 people have been killed in Argentina in football-related violence in the last 50 years. Because of this, Argentine football authorities barred away fans from grounds in 2013, but it has made little difference. Four people this year have been killed and 137 in the last 20 years. The barra brava were born out of a culture that viewed fighting against rivals as an expression of passion towards one’s own team. The term – which literally means violent (brava) groups (barra) – was coined in the 1940s by the press to describe hooligans. But those street brawlers mutated into organised criminals laundering millions in dirty money, experts say. “In the 1980s they started to acquire a profile linked to crime and in the 1990s they got a commercial edge, using their knowledge of football related violence to their own benefit,” said Murzi. Hence, in collusion with first the clubs and then police, they took control of ticketing resales and then parking around the stadium, as well as food trucks and other businesses that offer attractive profits. But they have continued to expand their horizons to “activities outside the football world, like participation in political, union and criminal acts,” adds Murzi. “The authorities’ approach is always the same: to think that the problem is due to a group of savages, but that’s an overly simplified perspective that leads to erroneous solutions,” said Murzi. Several times authorities have targeted the leadership of barra brava groups. jailing notorious chieftains such as the late José “the Grandfather” Barrita, chief of “The Dozen” hooligans from La Boca, or Alan Schlenker, the head honcho of River’s hooligans, currently serving life in prison. However, that didn’t prevent the hooliganism networks surviving with new leaders. “The problem is that no-one wants to put an end to criminal business in football, least of all club bosses,” says Nizzardo. Clubs pay for the police to provide security at matches and that’s an important source of revenue that pays salaries. “All the police know the hooligans and it suits them for the hooligans to exist,” says Murzi, who also blames the press and politicians for feeding the beast. “If the press... says it’s a final to kill or die for and the president says the losers will have to leave the country from embarrassment, the fans feel they have a reputation to uphold.